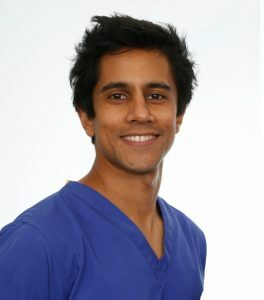 Raman graduated from Bristol Dental School in 2005. After completing vocational training, Raman worked as a senior House Officer in oral surgery, restorative dentistry and periodontics at various institutions including the Birmingham Dental Hospital and the London School of Medicine and Dentistry. During this time, Raman achieved Membership of the Faculty of Dental surgeons, awarded by the Royal College of Surgeons. In 2013, Raman completed his 4-year specialist training in periodontics at King’s College, London. Raman then went on to be awarded the Master of Clinical Dentistry (Periodontics) qualification and Membership in Periodontics at the Royal College of Surgeons, Edinburgh. Raman is registered with the General Dental Council as a specialist in Periodontics. He currently works at several referral practices in London and the South providing a wide range of treatments. Raman specialises in non-surgical treatment of gum disease, mucogingival surgery for gum recession, crown lengthening surgery, periodontal regeneration and placement of dental implants.